Item Condition: 100% authentic, new and unused. 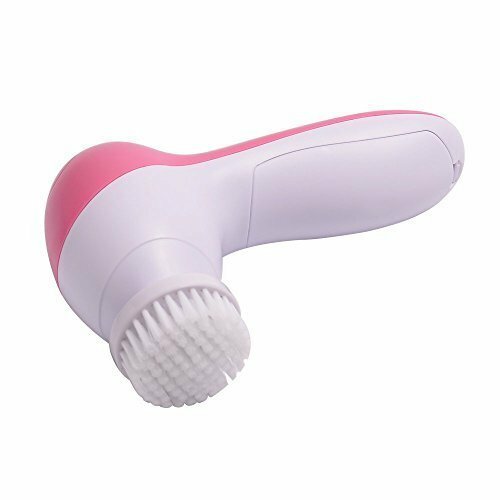 Basicare Facial Massage/Cleansing Brush Model No. 1055. 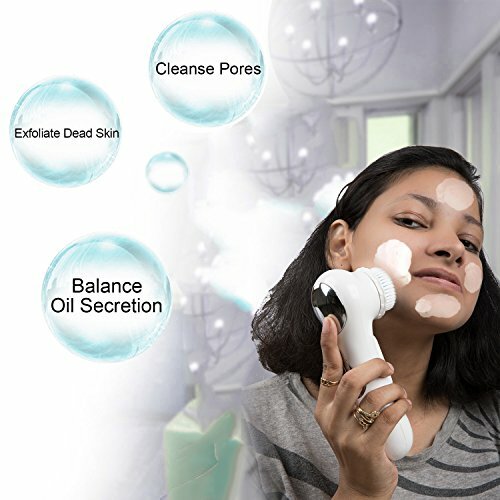 ADVANCED DEEP PORES CLEANSING SYSTEM FACIAL BRUSH : It can cleanse out the accumulated oil or dirt and remove make-up. Smoothing bumpy skin and cleansing keratin are also effective.Working with high vibration can gently remove dead skin cells and promote the blood circulation. 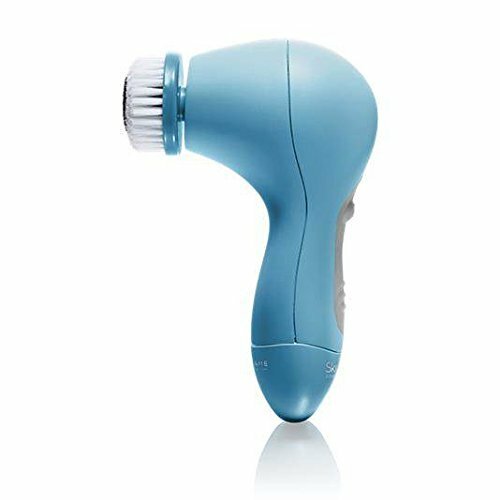 BEST ELECTRIC CLEANSER FOR CLOGGED PORES AND EVEN SKIN TONE : 220 million times per second sonic vibration for skin microdermabrasion exfoliating and massager. 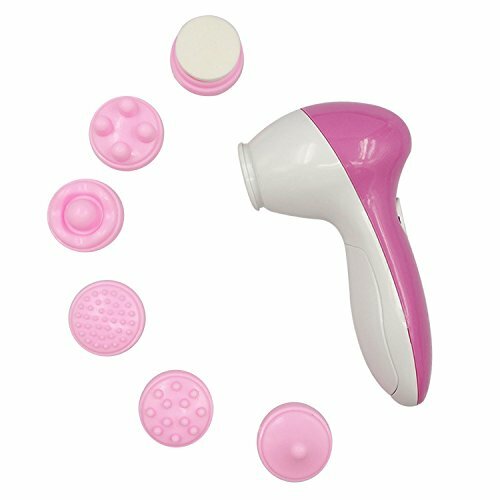 Multi-functional portable facial skin care electric massager scrubber deeply cleanse facial pores,remove blackheads, whiteheads and milia. 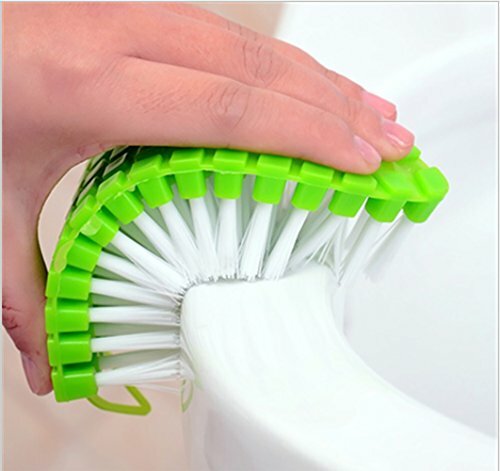 IPX6 LEVEL WATERPROOF WATER RESISTANT DESIGN : The facial brush is in IPX6 waterproof design. 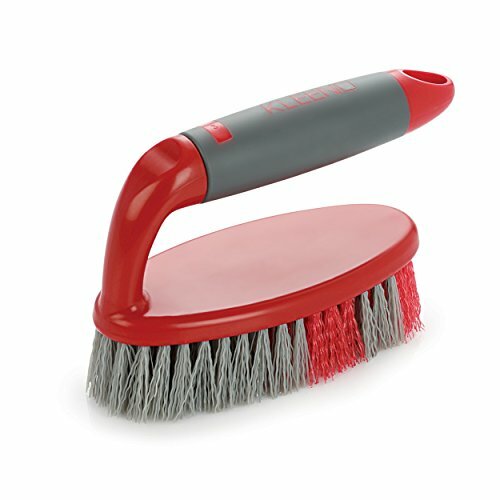 The waterproof and washable brush can be cleaned to avoid accumulation of dirt. 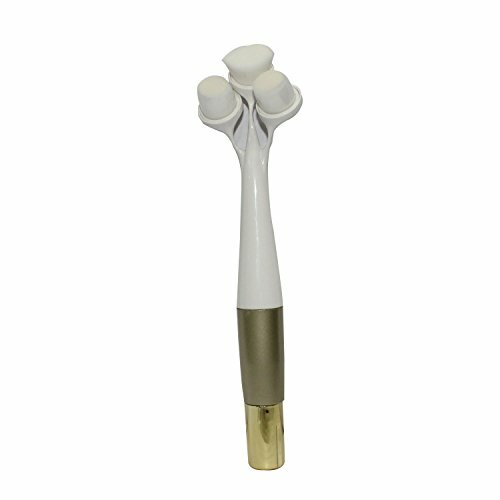 ADVANCED PBT MATERIAL : The advanced PBT materials is much gentler and softer than normal facial brush. Diameter of the one soft bristle is about 0.05mm, just as 1/10 size of a hair of human. It is more gentler and softer to prevent skin from scratching, reaching every part of the face with soft and comfortable feeling. 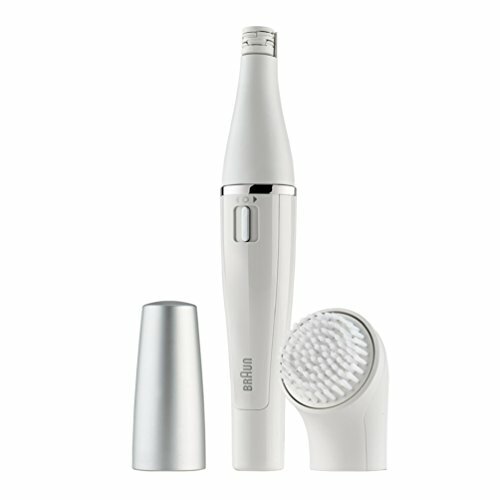 Facial cleansing system glows skin vitality for improving dull skin, leaving rejuvenated and refreshed feeling. 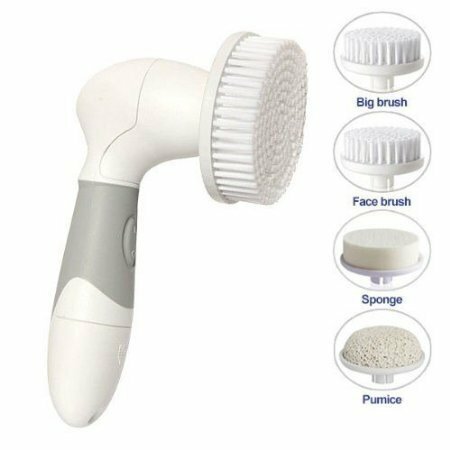 LEAVES FACE FRESH, CLEAN, CLEAR AND VIBRANT LOOKING: Superior Cleansing On Hard-To-Remove Makeup, the facial brush effectively works as a professional exfoliator to reduce dry and rough skin, firm fine lines, laxity. 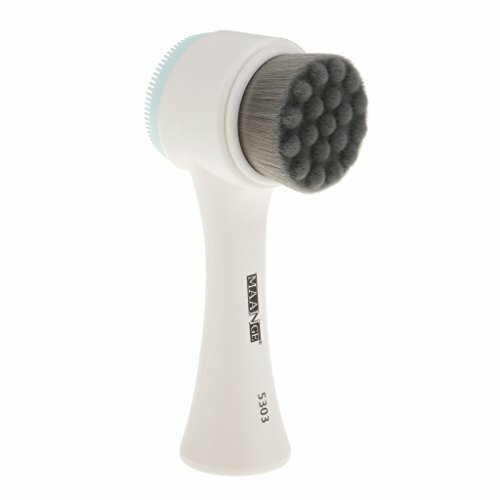 The facial brush can pleasantly refresh skin tone, firm skin, refine skin regeneration, recover skin fairness. Cleansing the face to prepare for applying creams and lotions. Exfoliating of dead skin cells to reveal a youthful skin. Removing hard cells on face, arms or elbows. 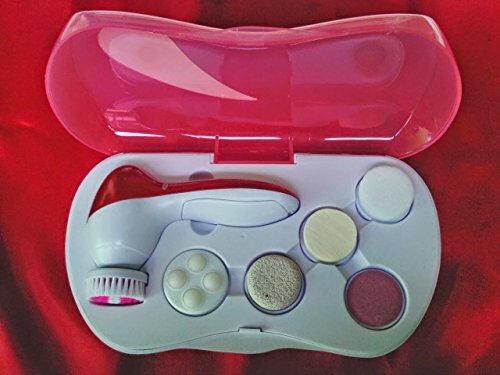 Operated by 2 AA batteries ; With 3 Attachments : Make Up Sponge, Soft Brush and Crude Polish Accessory. 1 Year JSB National Warranty, Call 08010402110 (Mon to Sat 10 AM to 8 PM) for support. 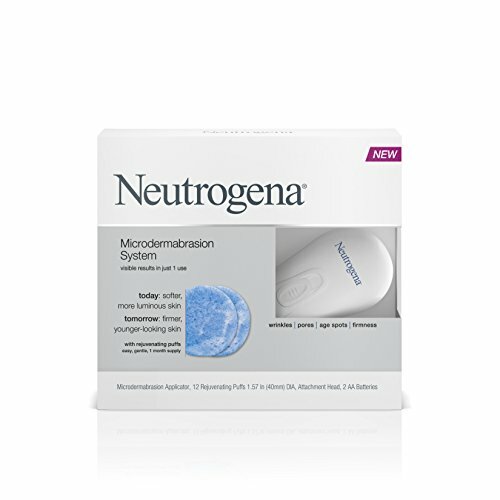 Flexible silicone pad gently massages and delivers radiant results. Gently exfoliates skin for better absorption of skin creams, serum and moisturizers. Silicone suction cup on back makes for easy handling. 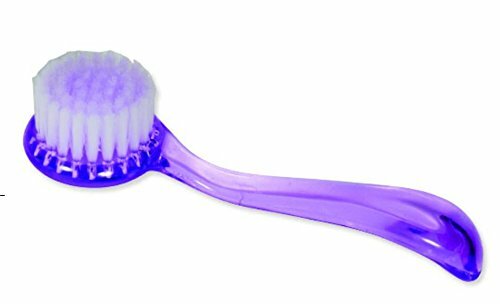 Take your facial brush anywhere. It is perfect for purses, or suitcases. 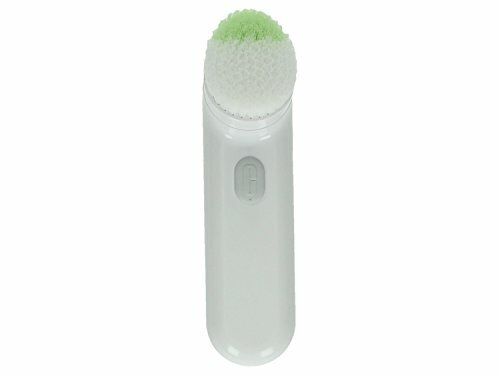 2 in 1 multifunctional face cleansing and massage brush. Ultra soft hair and 3D design for deep cleasing and exfoliating. 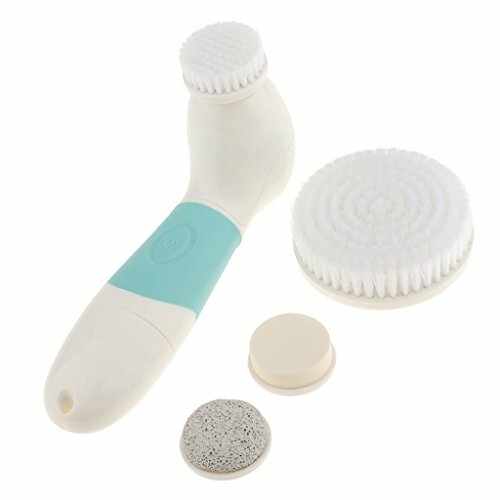 Effectively to clean makeup powder/cream/concealer/blackhead etc. 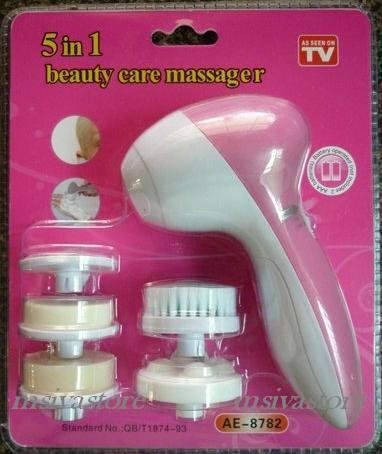 With silicone massager brush in the back, comfortable and helpful to improves facial blood circulation. 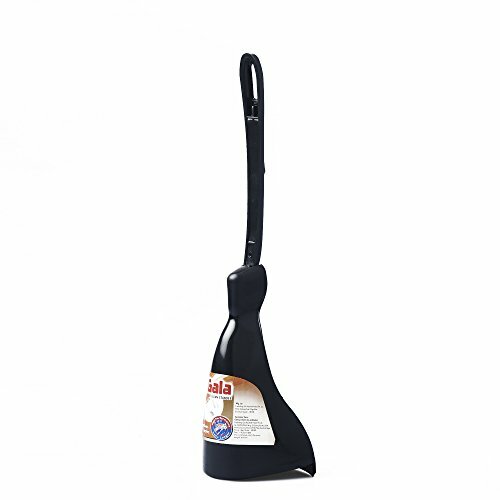 Upstanding bottom, quick dry, easy to store and use. Use it with ficial cleanser. Value for Money Combined Deal. Much Cheaper as compared to buying these two items separately. The facial cleansing brush helps you clean your face deeply and remove your sebum, blackheads. No damage to the skin. Tens of thousands of ultra soft and flexible fibers. 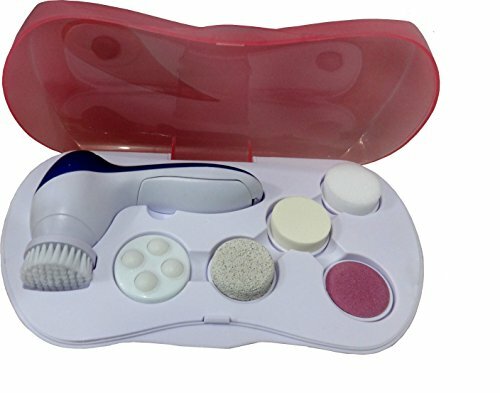 PETRICE 5 in 1 Multi-Function Portable Facial Skin Care Electric Massager/Scrubber with Facial Latex Brush Cosmetic Sponge. (Battery Is Not Provided). Soft brush hair will not hurt your skin and could break the blackhead,deep clean your skin and will not enlarge pore. Best for daily beauty. This skin solutions is suitable for all types of skins. 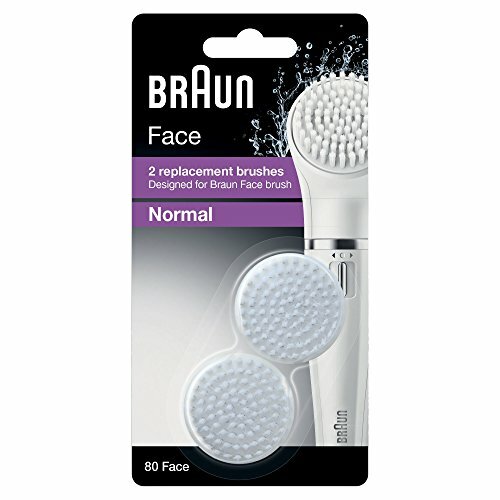 Smooth skin texture, skin refresh, removes the dead skin deeply. Meet your need of both cleaning and massage on face or body. The latex puff head will help you to makeup soon. 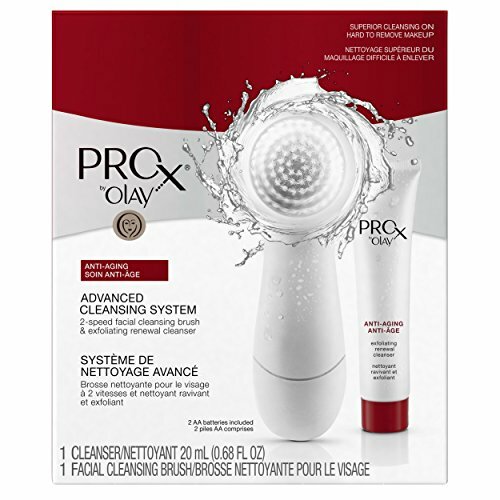 This product cleanses pores, balances oil secretion and exfoliates dead skin! 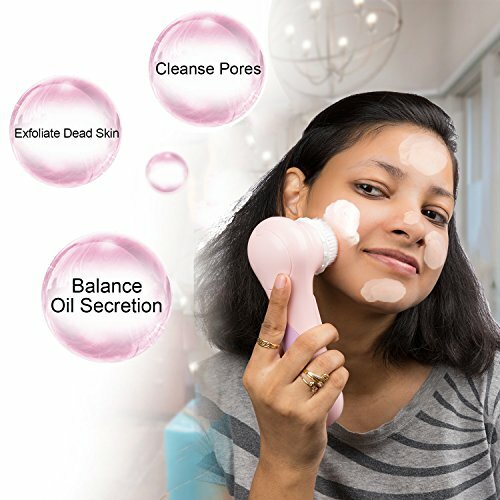 Allin Exporters Electric Facial Cleansing Brush : It is designed with 3 distinct brushes to help women and men to enjoy convenient and effective daily facial and skin care at home. 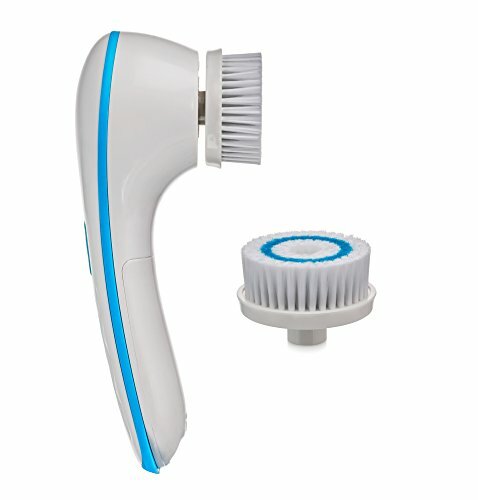 Its electronic design and multifunctional features make you forget your traditional face wash and massage method. Reach an never-before unbelievable effect. 6X Better than Traditional Face Wash : Allin Exporters Ultrasonic Electric Facial Cleansing Brush features 3 distinct brushes that can totally cleanse face from the deepest of pores to take the aging keratinocyte away. Its cleansing effect is 6x better than traditional face wash method. 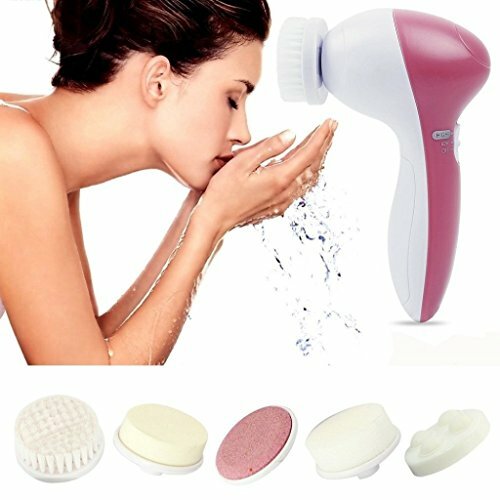 Best Makeup Remover : Allin Exporters Ultrasonic Electric Facial Cleansing Brush is the best makeup remover for you. Removing makeup is the necessary step for every women as the long-term residual cosmetics can cause serious skin aging and dark spots. Just in 1 min, remove your makeup thoroughly! 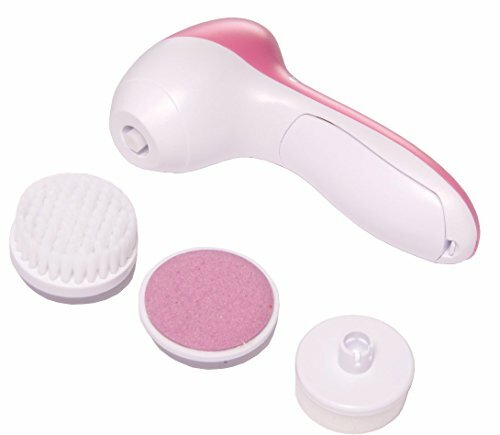 Perfect Skin Care Device : By using electric facial brush, you can spot a better skin health totally difference than before. It helps in efficient facial cleaning to assist facial issues such as fine lines, wrinkles, dark spots, acne, etc for a younger skin, better life! Battery Powered: Only need 1*AA battery (not included in package), low cost and convenient to operate. You will get the gentle and comfortable feelings for cleansing but not by squeezing skin by force. 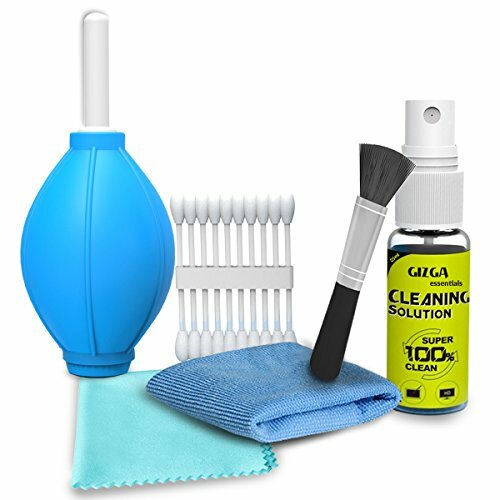 ☆ Multipurpose cleaning kit for Digital Cameras, DSLR, Camcorders, Filters, Lenses, Binoculars, LCD, Laptops and other sensitive Electronics, etc. 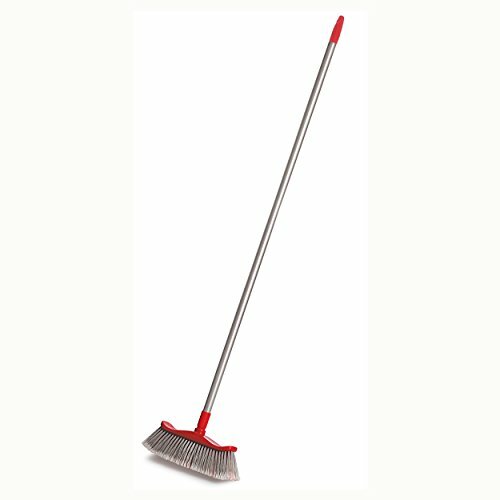 ☆ Includes: Powerful Dust Air Blower + 10 nos. 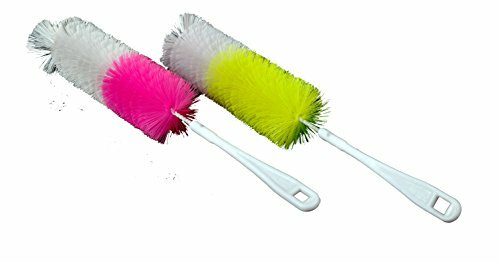 Cotton Swabs + PLUSH Micro-Fibre Cloth (160mm X 160 mm) + SUEDE Micro-Fibre Cloth (180mm X 155mm) + Dust Removal Anitstatic Cleaning brush + 25 ML Anitbacterial Lens Cleaning Solution. ☆ The 6-piece cleaning contains the essential items necessary for the proper maintenance and care of your Optical equipment's. 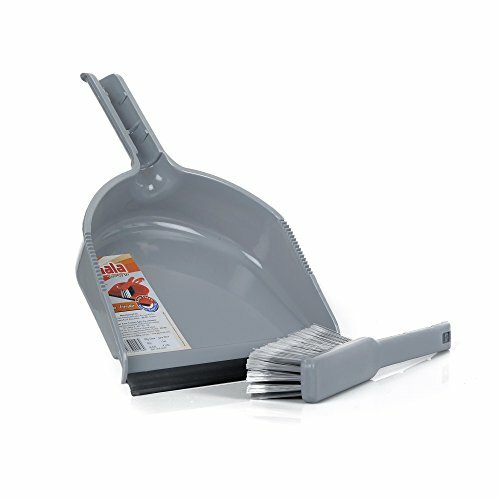 It easily Cleans dirt and dust. Effectively removes smudges and fingerprints from Lenses, Lcd, and other Optics. ☆ Every Photographer Knows the Importance of Keeping Your Camera in Pristine Condition. Our cleaning kit provides all the tools you need to maintain your precious camera equipment. 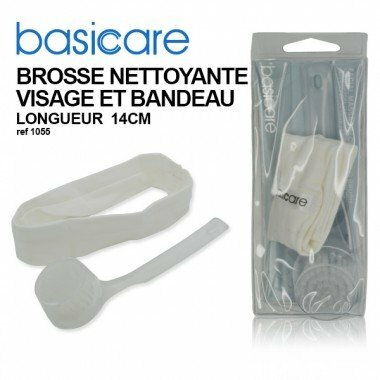 ☆ The Cleaning Kit is composed of carefully selected tools and materials to safely and effectively clean your camera and any other delicate optics. Each item included in your Cleaning kit is inspected for quality assurance before shipping. ❀【Safety Material】: Food Grade and Environmentally Friendly Silicone Material. 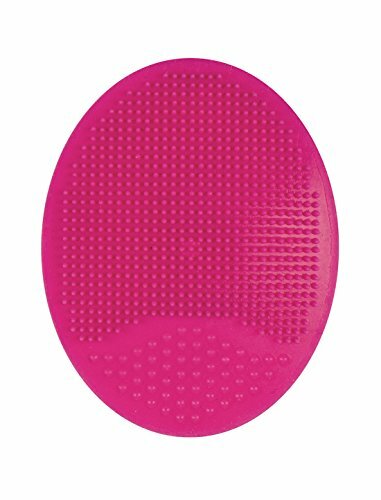 This Face Scrubber Cleanses Effectively by Removing Makeup and Dirt from Your Pores, Leaving your Skin Silky Smooth and Clean. Gently Exfoliates Skin for Better Absorption of Skin Creams, Serum and Moisturizers. 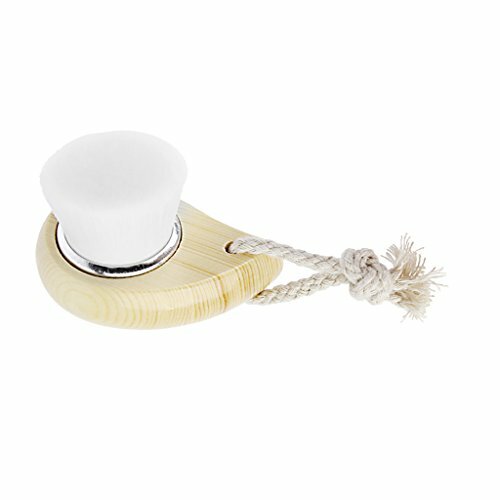 ❀【Unique Design】: New Design with a Finger Handle. Easy to Use And Don't Worry to Slip Down. 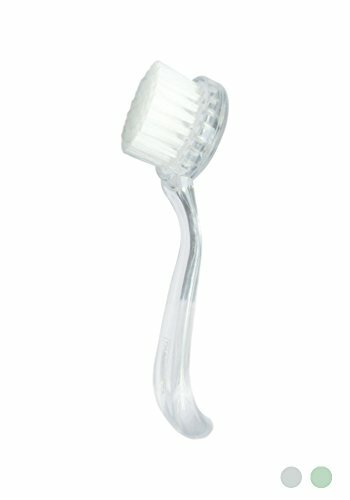 The Handle that goes in between Your Fingers makes it easy to Hold and Move around While Cleaning Your Face. 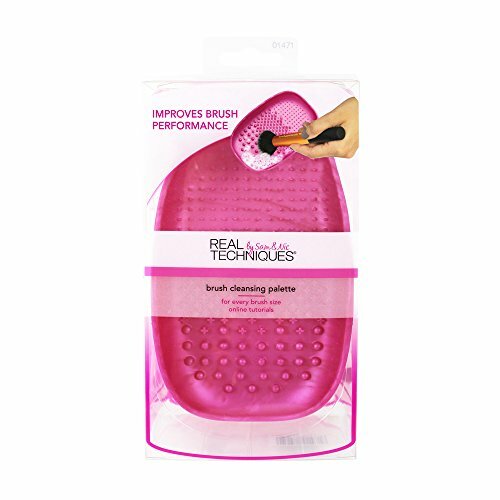 Two Different Types of Small Bumps Located on the Pad and They Work Well for Deep Cleaning. Perfect to Clean Your Face after the Sports to get rid of Dirt and Sweat. 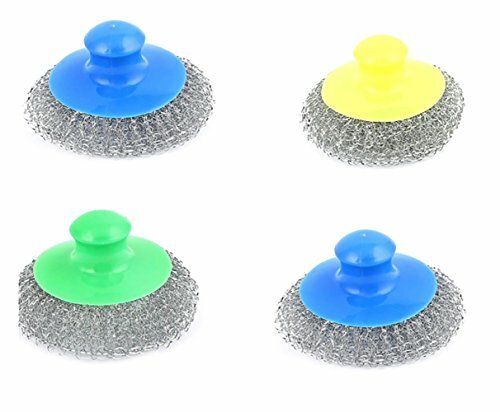 ❀【Soft and Massage】: Soft and Fine Scrubbers Massage Wave Points. Gently Cleans Skin for better Absorption of Skin Creams, Serum and Moisturizers. Improving the Blood Circulation of your Face by Brushing Lightly and Gently. Get ride of Dead Skin, Blackhead, Whitehead, Makeup. Great to Clear your Makeup Brush as well. 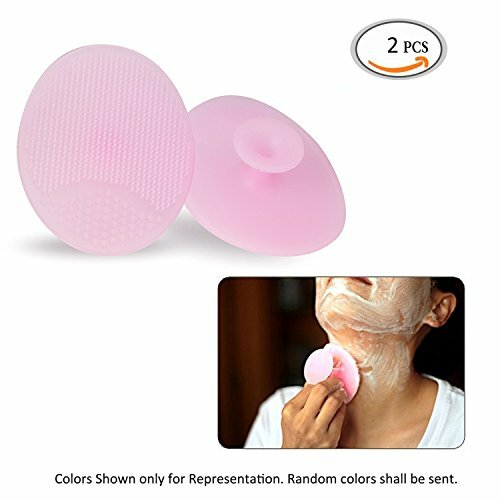 ❀【Perfect for Facial Care and Baby Hair Cleansing】: Compact in Size and Cute, Secure Fit for your Fingers and easy to Operate. Feels good and very Gentle when Washing Face. High Quality Soft Material Caters to Everyone's Needs, no matter Babies or Seniors. 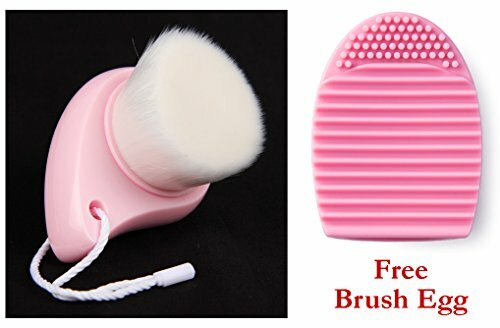 ❀【Portable and Durable】: the Small Cosmetic Brush can also be Put in your Dressing Box or Handbag, it can be a good Helper When you are Outside and want to Refine Makeup. This is of Super Value and you will not Regret for Sending them to the Ones you Love! Use on a variety of cloth surfaces like carpets, sofas, blankets, curtains, upholstery and also on hard surfaces like desks, floors, cabinets etc. 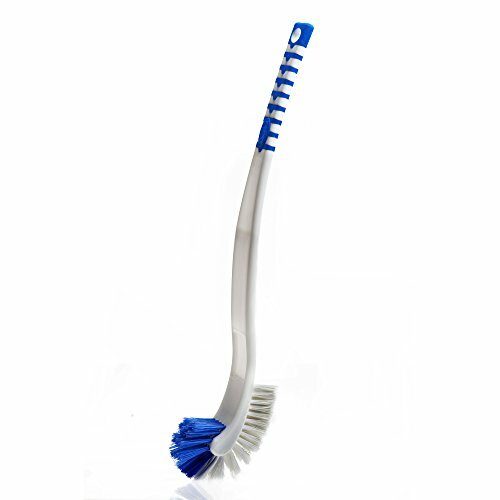 IPX6 LEVEL WATERPROOF WATER RESISTANT DESIGN : The facial brush is in IPX6 waterproof design. 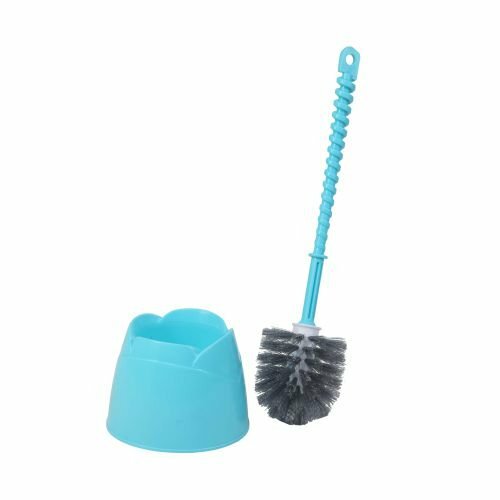 The waterproof and washable brush can be cleaned to avoid accumulation of dirt.ADVANCED PBT MATERIAL : The advanced PBT materials is much gentler and softer than normal facial brush. 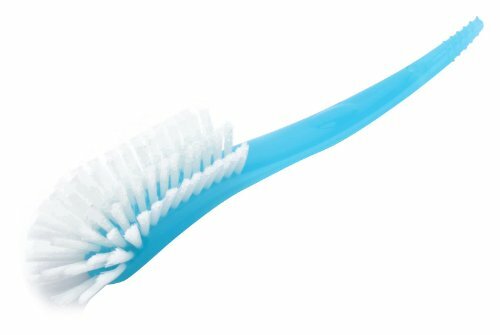 Diameter of the one soft bristle is about 0.05mm, just as 1/10 size of a hair of human. It is more gentler and softer to prevent skin from scratching, reaching every part of the face with soft and comfortable feeling. ADVANCED INDUCTIVE CHARGER FOR CONVENIENT CHARGING : Charged with an inductive charging stand. 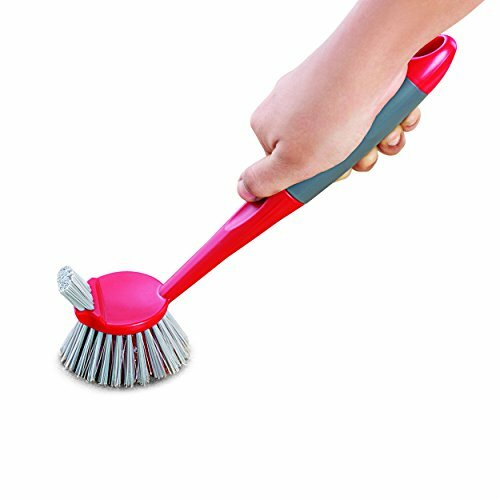 Plug in the plug to the power outlet and put the brush handle on the changing stand for recharging.An attached pedestal is convenient for depositing the brush.